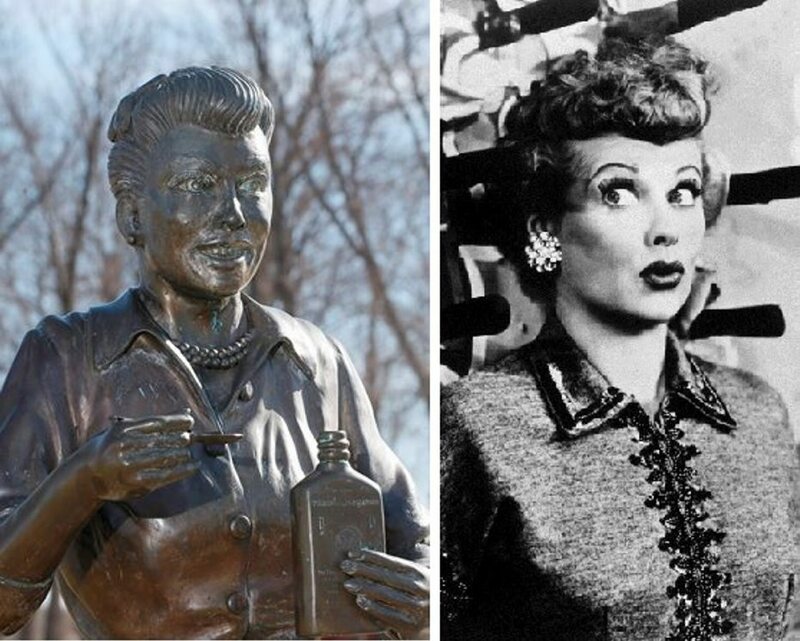 “Scary Lucy,” the dispiriting bronze statue of Lucille Ball in Celoron that became an international social media sensation last month, has officially been adopted by Jamestown’s soon-to-be-constructed National Comedy Center. The Celoron Village Board on Monday voted unanimously to donate the statue to the center in exchange for an unspecified amount of seed money and fundraising assistance that may enable the village to commission a new and more accurate likeness to live permanently in Lucille Ball Memorial Park. The solution came about after a tentative plan by Celoron officials to replace the sculpture’s head with a more accurate likeness and a short-lived campaign to bring the statue to the original set of “I Love Lucy” both failed. A fundraising effort launched by Celoron Mayor Scott Schrecengost to capitalize on the international publicity also came up short, securing only $421 of its $20,000 goal. Schrecengost could not immediately be reached for comment. The agreement came after a proposal from Tom Benson, chairman of the National Comedy Center, who approached the Village Board last month with the idea of giving “Scary Lucy” a permanent home that would honor its newly minted status as an accidental comedy icon. Benson said that the statue may live temporarily in Comedy Center Park, which is currently under construction in Jamestown, before it moves to a more permanent space in the museum. Its eventual display, he said, will feature material about the statue’s overnight transformation into a social media phenomenon. Ground will be broken in August for the National Comedy Center, an outgrowth of Jamestown’s Lucille Ball-Desi Arnaz Museum & Center for Comedy.